William R. Clayton, Practicing Attorney and Partner at Lerners, LLP, a top rated law-firm based in London, Ontario, Canada, has been named Top 100 Registry's 2019 Attorney of the Year in Canada, for his work in Family Law. London, Ontario, Canada, February 15, 2019 --(PR.com)-- William Clayton is a practicing attorney and Partner of Lerners, LLP, a top-rated legal services provider located in London, Ontario, Canada. William is a graduate of the University of Western Ontario, where he received his Bachelor of Laws (LLB). Having garnered many years of experience, William has successfully established himself as an exceptional leader within the legal field. 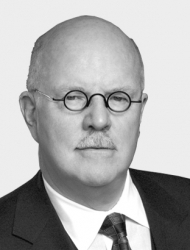 Admitted to the Ontario Bar in 1972, William has gained vast expertise within the areas of family law. Over the course of his extensive career, William has earned an excellent reputation as a fearless litigator who remains exceptionally compassionate toward clients during their time of need. In addition to appearing as counsel on innumerable trials, mediations, and arbitrations, William has appeared often before the Ontario Court of Appeal. Many of the appeal cases he was involved in, with success, are reproduced on a recurring basis in annual family law practice manuals as leading cases on a particular issue. William has completed the Ministry of the Attorney General training to conduct arbitrations and is available to be retained by family law counsel on behalf of their clients to act as an arbitrator. In recognition of his legal excellence, William has been listed in Best Lawyers in Canada, Family Law Section, consistently since 2008. In an effort to further enhance his professional development, William maintains membership with The Advocates' Society, Canadian Bar Association, Middlesex Law Association, Middlesex Family Lawyers' Association, and The London Club. Furthermore, William is proud to be a Past-President of the Rotary Club London East and Big Brother London. In his non-billable time, William enjoys running, weightlifting, and cycling. Click here to view the list of recent Press Releases from Top100 Registry Inc.